Legendary author Stephen King has been seeing his stories made into theatrical movies going way back to the '80s, and since then, it's never stopped. There's almost no end to King's novels and short stories which have had movie or TV adaptations based on them, with some even receiving multiple adaptations. It's very clear that people still love King's work now just as much as they did decades ago, as movies based on his work have proven to be massive hits at the box office. Now, the next movie to be made based on one of King's literary works will be an upcoming movie called Mile 81, which is based on King's 2011 novella of the same name. The movie will be directed by Alistair Legrand (The Diabolical), using a script co-written by Legrand and Luke Harvis. Ross M. Dinerstein (Netflix's 1922) is producing. 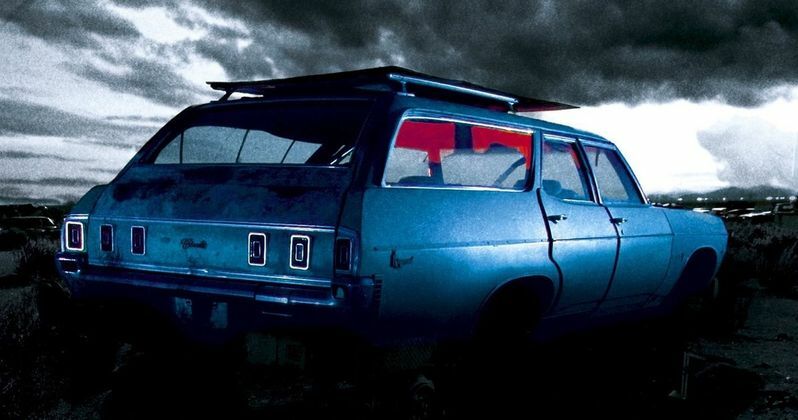 Set at an abandoned rest stop, a synopsis says the movie "will follow 12-year-old Pete, his brother, and a group of strangers who must fight to survive as they're hunted by a mysterious force." Readers of the novella will know that this force is some kind of evil alien taking on the form of a station wagon. Good samaritans unlucky enough to try to help when they see what appears to be a broken down car are consumed by the vehicle. An alternate version of the story was later released as part of the compilation book The Bazaar of Bad Dreams, which added more characters and death scenes. Mile 81 was originally published as an e-book in 2011, coming with an excerpt from 11/22/63 which was set to release two months later. At 80 pages, it's much shorter than your typical Stephen King novels, but it's certainly still long enough to tell its own unique story. Because the movie will be feature length, however, Legrand and Harvis are going to need to be creative to extend the story. Primarily set in a single location with a limited cast of characters, it might be challenging to see the story successfully adapted as a movie, but it's not impossible. After all, Frank Darabont managed to do just that with King's short story The Mist. One thing that's for sure is that King-based movies have the potential to be blockbuster hits. In 2017, a movie based on his popular novel It utterly destroyed the box office, becoming one of the highest-grossing horror movies of all time. Later this year will see the premiere of the highly anticipated sequel, which is expected to achieve similar success. A new movie based on Pet Sematary is also due to arrive this Spring after having its world premiere at this year's South by Southwest Conference and Festivals. We will see if it manages to achieve the same success of It, but given the buzz the movie is generating, chances are it's going to do very well. There's no official release date yet attached to the Mile 81 movie. With the script currently being written, casting should go under way soon. Filming is set to begin in the fall of this year, meaning we'll likely see the movie in 2020 at the earliest. This information comes to us from Deadline.